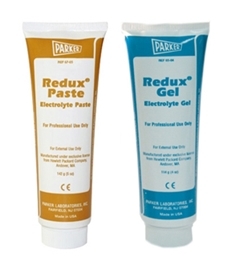 Redux® Electrolyte Paste, Redux® Electrolyte Gel and Redux® Electrolyte Creme are formulated to operate efficiently with all electromedical equipment. 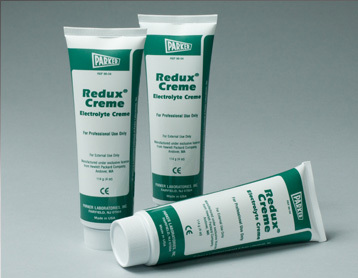 Redux® Paste, item #RE6705 is a water-based, abrasive paste for short term monitoring, ECG, and defibrillation. Redux® Electrolyte Gel, item #RE6504 is highly conductive, non-abrasive, water based gel used for routine ECG and defibrillation. The gel is water soluble and non-staining/non-gritty. Redux® Electrolyte Creme, item #RE6604 is a cosmetic quality cream that is highly conductive for routine ECG procedures. The Electrolyte Cream is not designed to be used during defibrillation. The Redux Electrode Cream formula is non-irritating, and is designed to be soothing to patients.The Redux® brand is trusted by many of our customers and we highly recommend it to any medical professionals that requires high conductivity, ease of use, and efficiency. 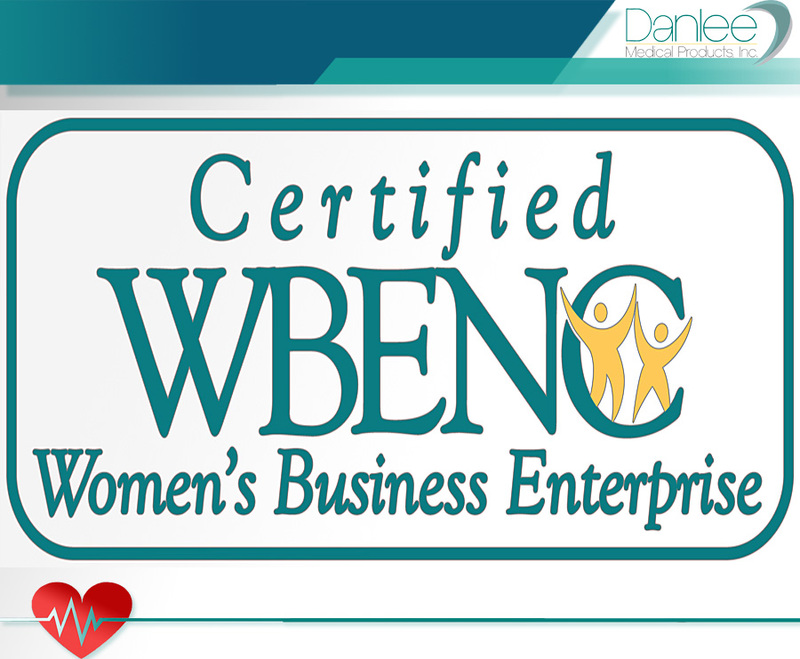 This product is used by a wide variety of medical facilities that specialize in EKG exams, stress tests, Holter monitoring ECG telemetry and more! Non-irritating Highly conductive electrode cream.